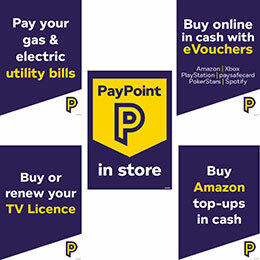 Promote the PayPoint services available at your store with free point of sale items. 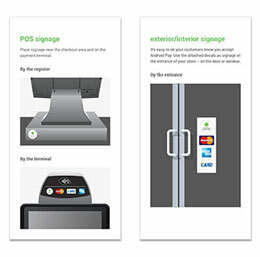 We have created a range of A4 posters to help promote PayPoint services in your store. 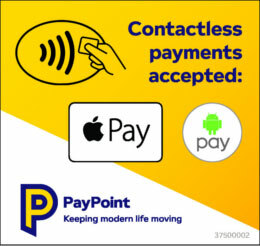 If you process your card payments through PayPoint, you can accept contactless payments, including Apple Pay™ and Google Pay™. Contactless is a fast, easy and secure way to pay for purchases costing £30 and under. We have created some free point of sale to let your customer know you accept contactless payments. Get free decals from Apple to promote in your store. 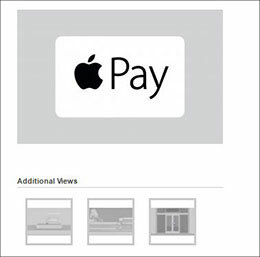 Put an Apple Pay™ decal on your storefront window and checkout area, so your customers will know you accept Apple Pay™. Put an Google Pay™ decal on your shop front window and checkout area so that your customers will know you accept Google Pay™.